I was wondering whether there were any further instructions on this pattern. For instance, what size are the beads used? Good web site you have here.. It’s hard to find high-quality writing like yours nowadays. I really appreciate people like you! Take care!! Your site is amazing, keep up the good job and thank you for providing these beautiful tutorials for free, makes life reeeally easy for some of us!!! Where can I get the pattern for this necklace. I keep trying to find it and can’t. Where can I get the pattern for this necklace? Thanks. where can this pattern be found. Can you email me at [email protected] and let me know. The picture is not of any use and there are no bead sizes. Hi! I would like to know if you have the pattern for this piece. It is beautiful. If you do not have the pattern would you be able to direct me to where I might be able to find it? Thanks! 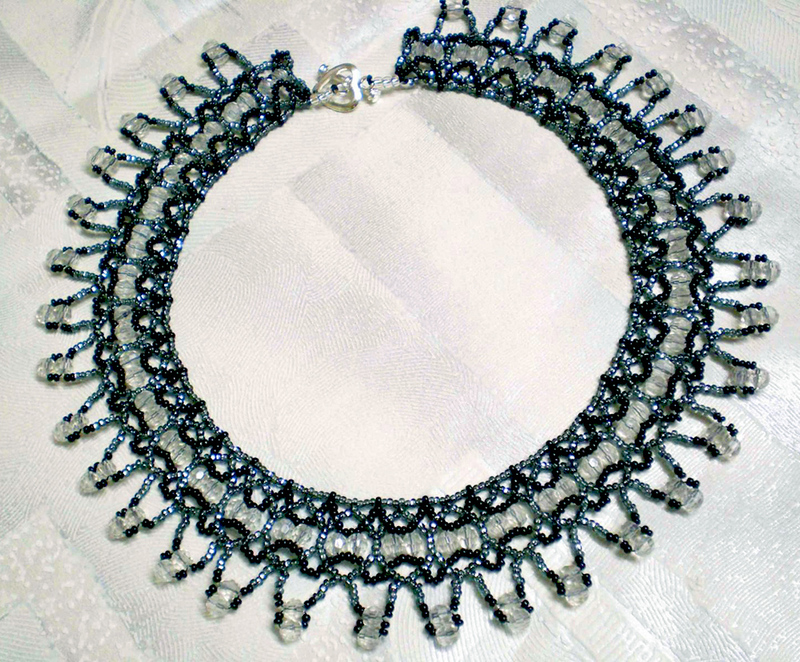 I see that a lot of you need bead sizes and a pattern.Above is the pattern, it’s not any of mine but I will do what I can to help you to make this beautiful necklace. 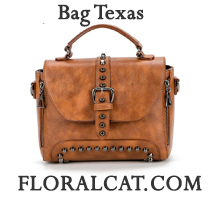 If you want sizes and pattern leave your email and I will get in touch with you ASAP. I came across this necklace and in the replies you said you can help with pattern and size of beads. I do look forward to a reply. Would love pattern and bead size, thank you for your help. 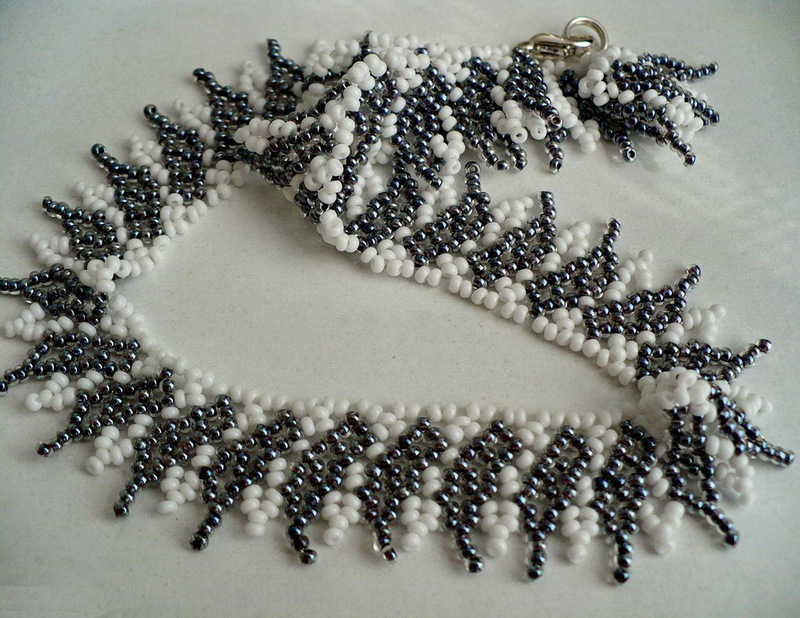 Hi Bree, can you send me a pattern of this necklace and the size of the beads please ? Thank you. I see your initial offer for helping us was in June (2015). If you are still available to help, please email me the bead sizes and instructions for this necklace. What colors have you made the pattern in? 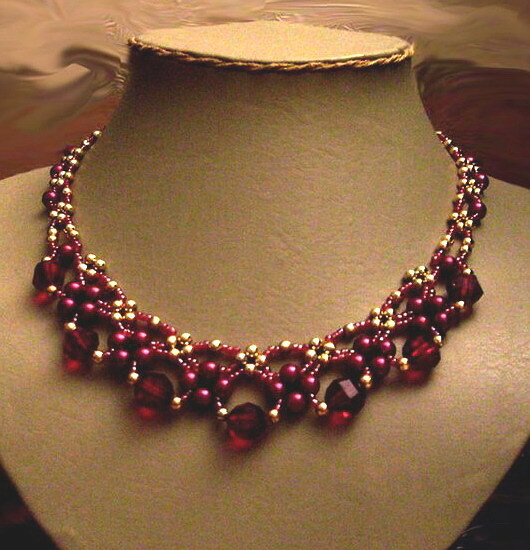 Hi Bree… I would love to have the bead sizes and pattern for this necklace… Thank you very much. Please send it to me in english and sizes of beads.thanks. [email protected]. Please send me the pattern and bead sizes. Thank you! I’d like the pattern and bead sizes also. Thank you. Can you please provide me the pattern for this necklas with bead sizes. I would love the pattern. I tried to make this and it didn’t turn out. It is so beautiful in the picture. i would love to have pattern and bead size. It’s beautiful! I would like the best sizes and pattern to do for wedding jewelry. Please send me the pattern and bead sizes. (Mother of the bride – and all the bridesmaids are wearing different colored dresses. I will be able to coordinate this necklace to each of their chosen colors!) Thank you. 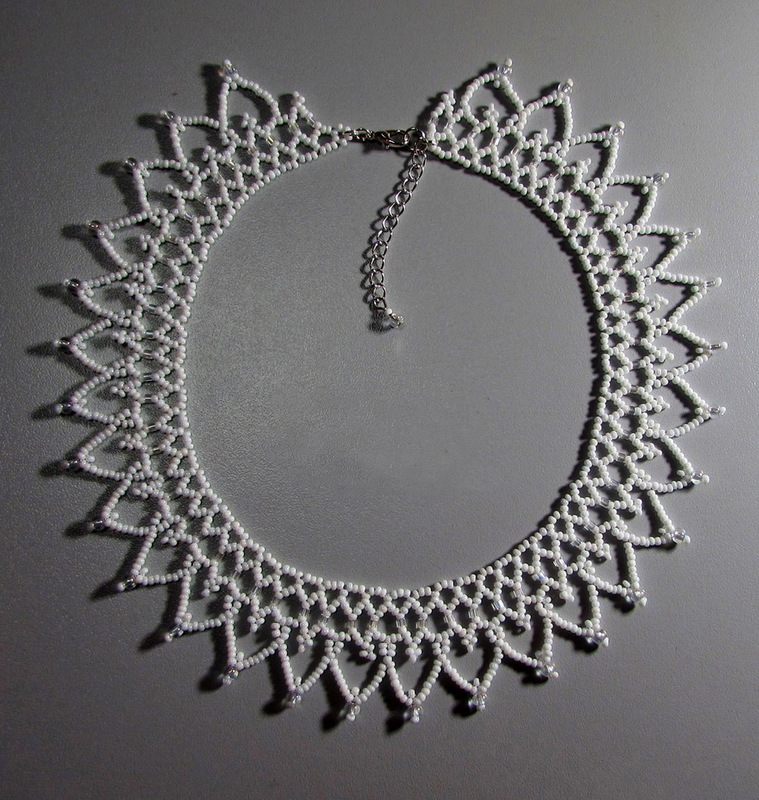 I would love to have the pattern for this beautiful necklace you have created! Can you email a copy please? Would very much appreciate the pattern and bead sizes for this necklace. Really beautiful! Thank you. Is it possible to have bead sizes and instructions please? Hello Bree, I am French. Could you send me the tutorial and size of pearls , please .Thank you in advance. I would also love the bead sizes and pattern, thank you! The necklace is gorgeous and I am so excited to be discovering this site! Please send me the bead sizes. (And if there is anything extra I should know about the pattern). It’s gorgeous! 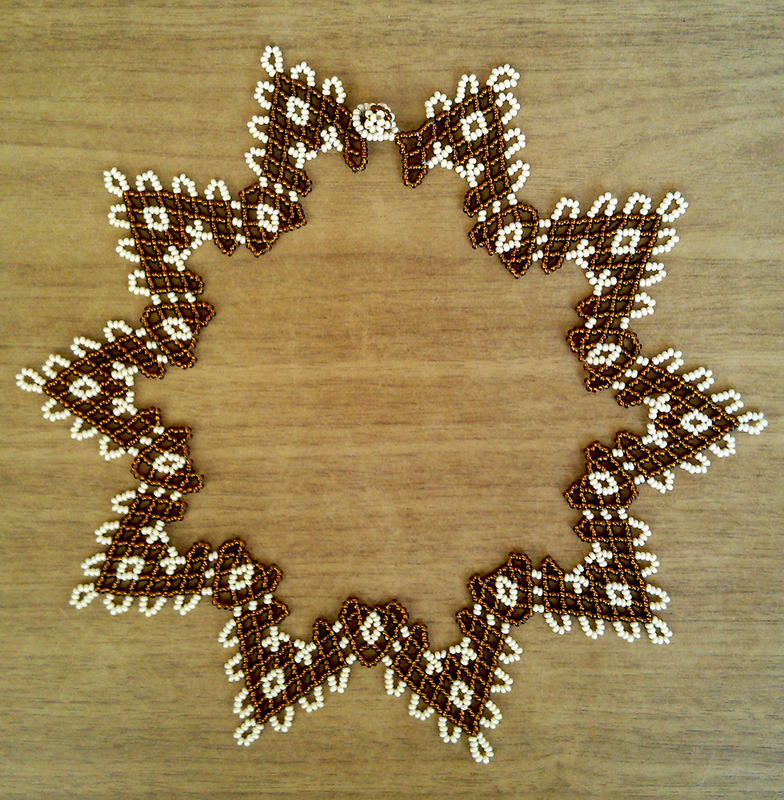 I want this pattern and i,need the sizes of beads.